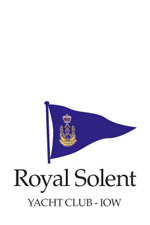 For further information about any of the activities above, please contact the Royal Solent via email at events@royalsolent.org or by phone on 01983 760256. 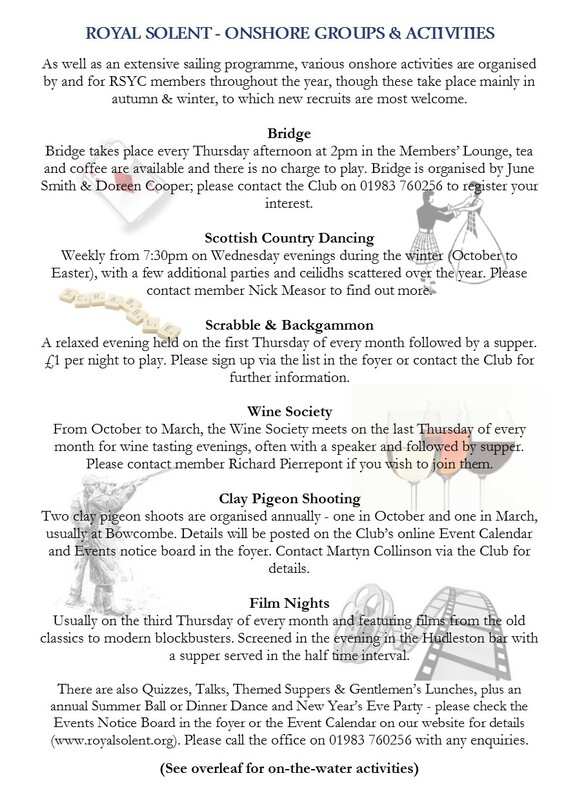 The RSYC Scottish Country Dancing Group meets weekly from 19:30 on Wednesday evenings during the winter (October to Easter), with a few additional parties and ceilidhs scattered over the year. Island Reels. 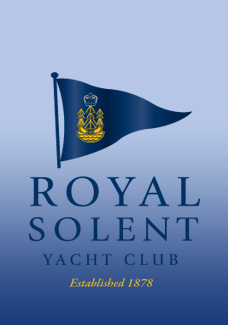 In alternate years we organise a formal evening event, The Island Reels, at the Royal Yacht Squadron - an evening of dancing in a fine setting, with a magnificent supper and a live band, an opportunity to involve dancing friends from the mainland. Costs. The charges for Wednesday evenings are £20 for the Autumn term or £25 for the Winter, or £2.50 per session.